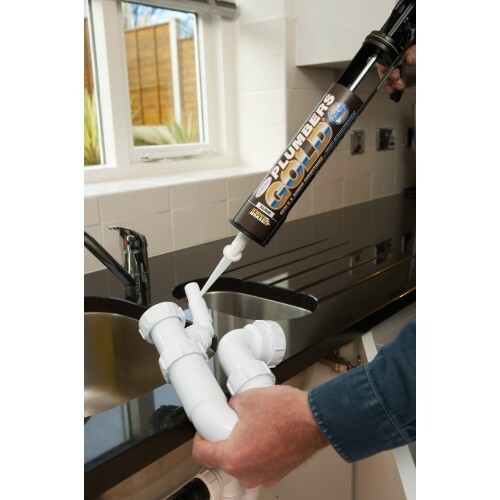 Specially formulated for the plumbing professional, Plumbers Gold is a new type of sealant and adhesive based on hybrid polymer technology that offers outstanding adhesion to all sanitary, bathroom, wetroom, kitchen and plumbing materials. For example, hard plastics, acrylics, fibreglass, ceramics, glass, marble, granite, aluminium, mirrors, metals etc. Plumbers Gold can be applied to wet surfaces and will even work underwater!